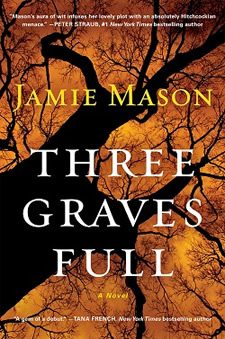 It took me a while after I finished Three Graves Full, the debut novel by Jamie Mason, to decide exactly what I thought of it. In fact, three or so days later, I am still not sure. Overall I liked it, but it was certainly not what I was expecting. More than a year ago, mild-mannered Jason Getty killed a man he wished he’d never met. Then he planted the problem a little too close to home. But just as he’s learning to live with the undeniable reality of what he’s done, police unearth two bodies on his property—neither of which is the one Jason buried. The first line of the book states "There is very little peace for a man with a body buried in his backyard. "Sounds like the beginning to a typical thriller/suspense novel, doesn't it? But this book is not even close to typical for this genre, nor was it at all what I expected. I expected a novel with a lot of drama, drama of the serious bent. There was a lot of drama in this book, but it was more the drama-queen, eye-rolling sort of drama. Typically when I read a thriller I expect a lot of "Oh my, I didn't see that coming" moments, maybe some chills running up the spine and a little bit of worry about how everyone is going to survive. I don't expect to by cracking a smile and shaking my head in wonder at how absurd a situation can get. The sort of black humor that fills this book is definitely what sets it apart from your typical psychological thriller. About 20 pages into the book, Jason Getty's life veers horribly out of control and from there on, the book careens on to it's conclusion. I admit, before I read this book I had not read the part of the publishers blurb that likened this book to a Coen Brothers movie. If I had, I probably would have been more in tune with what to expect. Those types of movies are not for everyone and, like the movies, neither is this book, I think. As the blurb says, though, if you like your thrillers with a bit of sharp humor, you will like this book. If you like characters who are swept along by their circumstances and whose lives are totally out of control, you will like this book. If you like watching a train wreck and just are not able to tear your eyes away, then you will like this book. As to the nuts and bolts of the book, I thought the writing was quite good and the characters were well developed. I particularly liked the way that Jamie Mason let the reader into the minds of her characters. From Jason, whose out of control life becomes the focal point of the story, through Leah Tamblin, the detectives on the case, Gary Harris, all the way down to Tessa the dog, the way that she highlighted the internal workings of their minds was a real treat. So - why did I give the book 3 stars, instead of 4? Well along with everything that was good, there were a few things that I put me off. For one thing, the author had a habit of referring to her characters by their last names in one sentence, and then by their first names in the next. For example, sometimes the lead detective was Tim, sometimes he was Bayard. In addition, although I liked the inclusion of the inner workings of the mind of Tessa the dog, I thought that they were a bit drawn out and ended up skimming some of that part of the book. My final thoughts, if you like the Coen Brothers movies, or the dark humor of some of the stories of Alfred Hitcock, you will love this book. If you are in the mood for something different than the usual, this is the book for you. I struggled with how to rate this book as I didn't quite feel it was up to a 4 star standard, but it was definitely more than a 3 star read. I would really love to have given it 3.5 stars. I can definitely see myself reading more by this author. 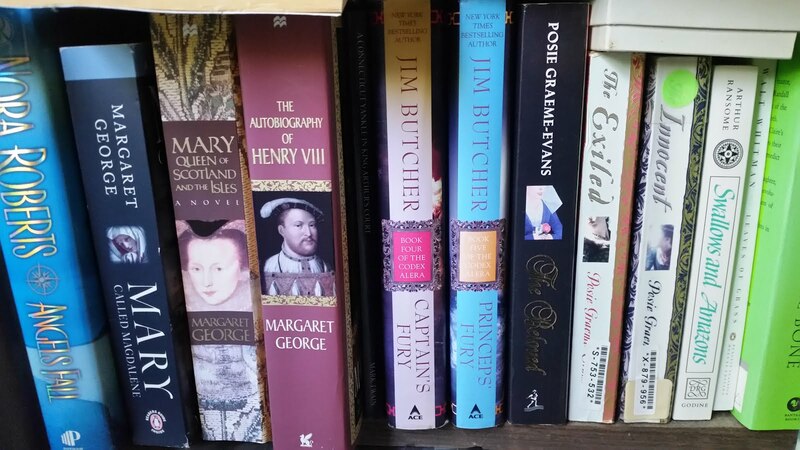 Thanks to Netgalley and the publishers for the unproofed copy of this book they allowed me to read.